I’ve seen fans talk as if Milan is already has been purchased outright by some benevolent, football savvy Chinese owners, who are ready to forget FFP entirely and buy the world’s best players for Milan. These people probably also believe that Milan won the Champions League yesterday, they couldn’t be further from the truth. The truth is that Berlusconi is still publicly toying with the concept of giving up his beloved political advertising source. It is completely unknown if he will in fact relinquish any portion of the club, let alone a majority, and even then whether or not he will insist on remaining president. It is also completely unknown whether or not this Chinese group are prepared to dance with a madman to get what they want. Actually, it’s completely unknown why they want AC Milan in the first place. We can speculate all day, but all of this is unknown. So hold on tight. 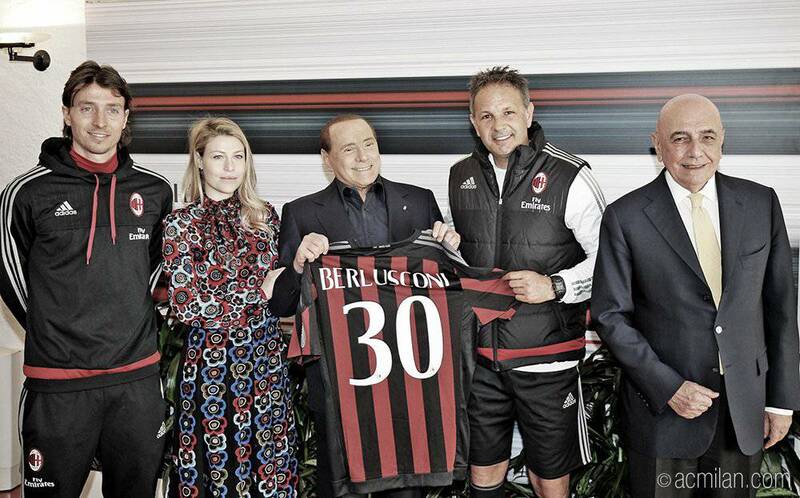 It’s not just the role of Berlusconi that is in question, but also the role of Galliani and Barbara Berlusconi. There is plenty of speculation as to whether either or both will continue on at Milan, and if so, what roles or responsibilities they could maintain. Galliani’s role is of particular importance at this point of the year, as the transfer window opens in a month, and he has traditionally managed all of the transfers. A potential sale of any or all shares could see a change in the direction of transfer policies (or not,) an interruption of transfer activities due to the paperwork and such (or not,) and it could mean an increase or decrease of spending on players, depending on ownership and management changes (or not.) The contract extensions and left back signing already offered by Galliani are the only sure things so far this summer, and most fans certainly resent the one extension. It just goes to show you that for this mercato, more than ever, we need to hold on tight. Then there is the question of who will coach Milan next season. While rumors have been flying, there is zero indication of whom the club will actually choose, because of the issues involved in the previous two paragraphs. Brocchi’s contract was only ever two months, but Berlusconi showed complete uncertainty when asked about an extension for his puppet. We could get a coach like him, we could get 10th place Empoli’s leftovers, we could get Roma’s castoff, or if you’ve been snorting the Kool-Aid, we could get Unai Emery with all of that Chinese money we’ve yet to see. If we learned one thing this season, it’s that Berlusconi has no idea what he’s doing when it comes to coaches or coaching changes anymore, so hold on tight. We also have some players that we need to hold on to. 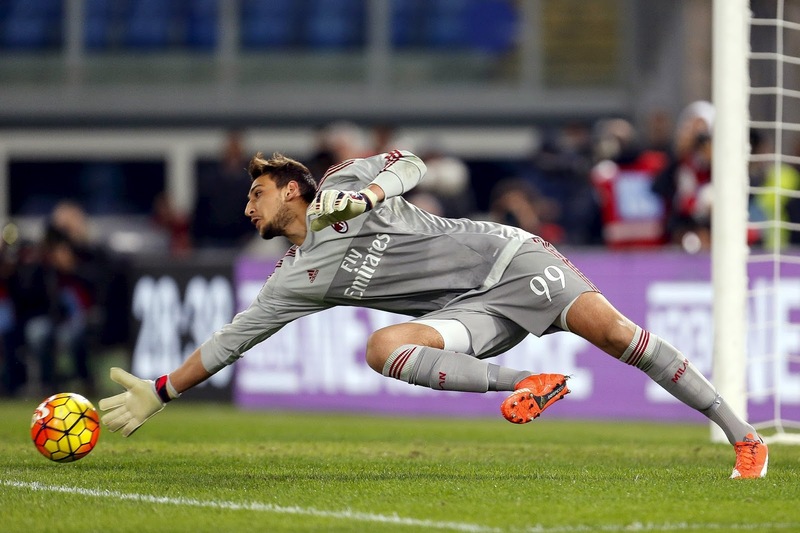 First in my mind is Donnarumma. Wrapping him up in that tacky gold kit the last two matches can only attract the big spending clubs more, all they see is a gold mine. Lots of keepers have been compared to Buffon, but Gigio has set a whole new bar and has the potential to be even better than Buffon. And this season, he put his incredible skills and amazing maturity and calm on display for all to see. Whomever owns and runs Milan will probably have to be physically restrained not to accept the money that will be offered for him. But they need to resist. Especially with Montolivo extended and us facing three more years of his ball-losing and dangerous back-passing habits, we need the future best keeper in the world to try to balance out that weakness. 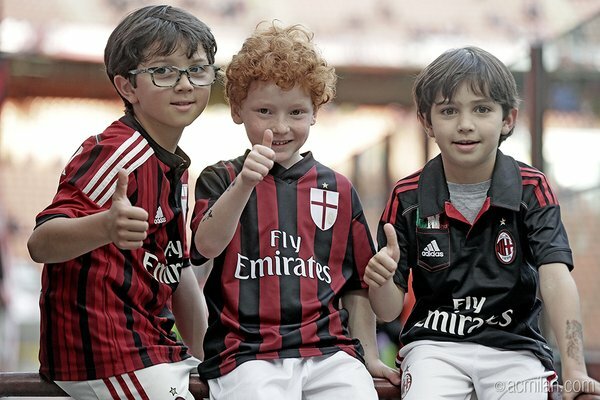 We also need young players who love the shirt more than money and are Milanisti from birth. We need to hold on tight. Who knows what next year's family photo will look like? If Berlusconi’s bizarre dream of an all-Italian young Milan is still the goal amidst all of the potential changes (or not,) then we should really hold on to most of our younger Italian players, as we have a lot of young talent right now. And we could do well to hold onto a player like Bacca, if we can, too. We could actually do well to hang onto a number of players for consistency and leadership in the dressing room. Berlusconi mentioned that Alex, Mexes, Boateng, and Balotelli, will be leaving, which makes a lot of sense. But remember last year when Silvio himself recalled Mexes after his contract expired? We should know better than to trust anything until it is in ink, the transfer window has closed, and the season has started. Until then we have to… you guessed it, hold on tight. The bottom line is that no one knows what this club will look like at the end of this summer. I don’t think even Silvio himself is certain of anything at this point. We could be the same self-destructive, emotionally weak team owned by a crazy old crooked billionaire and run by an omnipotent has-been and a powerless female victim of nepotism in August. Or we could be owned and run by a mysterious group of Chinese investors with unknown intentions. Or anything in between. We have no idea who will be coaching, or even who will be playing in the bleeding new kits. The only things we have control over is our own intake of Kool-Aid or other judgment impairing substances, and our hearts. If we hold on tight to both our judgment and our hearts, it’s the most probable way we can survive this bumpy ride this summer. So hold on tight.